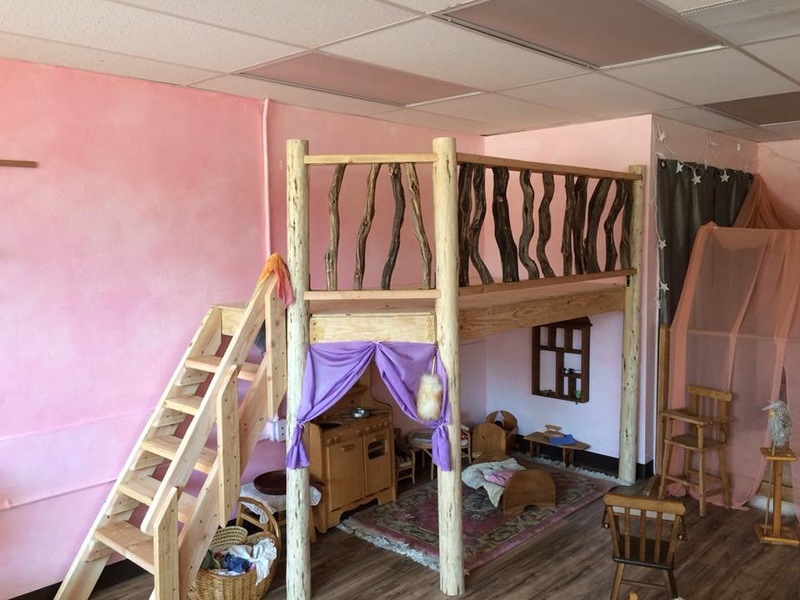 Sprouts Preschool serves as a gentle introduction to the experience of being away from home. The morning is filled with creative and imaginative play, seasonal games and songs in circle time, snack preparation, crafts, storytelling and puppetry. Outdoor play and discovery are a big part of our education where children are engaged in digging, stacking, observing, collecting, gardening and in awe of nature. Chelsy Rose was born in a small coastal town in Northern California. Many of her childhood memories were of her and her twin sister amidst the big Redwood trees and on the beach creating a magical world of their own. The natural world was embedded with life, movement, and friendship with the rocks, dew drops and tree trunks. This secret world that they traveled to daily was free of communication and adult supervision, and was led by pure thought and an innate knowing that all was one. 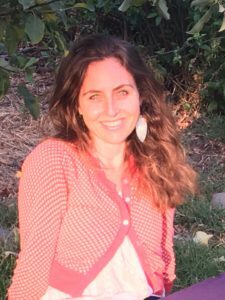 After High School she moved to San Francisco, California where she worked at several diverse preschool settings and received her K-6th teaching credential with an emphasis in early childhood and multicultural studies at San Francisco State University. Her love for movement and dance also led her to complete her minor in dance at SFSU and propelled her to explore the nature of emotions in the body by tapping into undiscovered places and moving through them. Shortly after completing college, Chelsy Rose entered the beautiful world of motherhood and moved back to her little coastal village of Mendocino where she raised her three daughters. While raising her girls, she taught at several nature based preschools and a variety of K-6th schools including many charter schools. Her daughters started attending a Waldorf charter school, Caspar Creek, where she became enamored by the philosophy and the spirit infused curriculum. She witnessed that beauty, truth, and wisdom could be allowed to blossom in children through nature, crafts, song, and story with ease and grace. This opened her up to a new way of being in the world and it reminded her so much of her magical childhood memories. She began studying Rudolph Steiner and the art of teaching, as well as many other world philosophers while delving deep into her internal state. Chelsy started teaching in the kindergarten/first grade classroom at Caspar Creek. She loved the joy and rhythm that the play-based and nature oriented curriculum introduced to her students. Chelsy also danced on the coast for over 15 years with the Mendocino Dance Project, creating and performing all over California. With the company she taught creative dance to a wide range of children in the community. She designed and implemented creative movement activities that incorporated core curriculum while fostering physical and emotional awareness. She believes that if a child is moving, singing, creating, and celebrating; if they have reverence and respect for one another and themselves, their lives will be full, and they will live well. Chelsy has recently moved to Ashland, Oregon and is excited to be working at Madrone Trail, another wonderful Waldorf Charter School. She enjoys singing, dancing, reading, spending time with her family, and talking to the trees.